Women often ask me can they do yoga in the first trimester of pregnancy. If you have been practicing yoga before you got pregnant then it’s fine to continue but you need to make a few changes in how you practice. While yoga is a great form of pregnancy exercise, if you have never done yoga before then it’s best to wait until you are at least 12 weeks before starting. 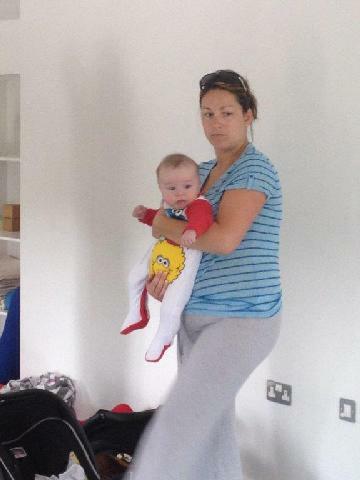 That rule applies to every kind of exercise during pregnancy except gentle walking or swimming. The first trimester of pregnancy is not the time to take up a new type of exercise that your body is not used to. Remember you body is making a baby so it needs to focus all it’s effort for new things on that. During the first trimester of pregnancy there are so many physiological changes going on in the body. Making a new person inside your body is hard work. You might feel tired more often and this is perfectly normal. Try to rest more, catch a 20 minute nap or even lying down or sitting quietly in a relaxed pose with your eyes closed will help restore your energy. If you already have a personal yoga practice or other type of exercise then it’s fine to continue but you need to really listen to your body and stop if it doesn’t feel right. Avoid deep twists and inversions or anything that puts pressure on your abdomen. If you feel dizzy or light headed stop immediately and rest. If you are attending a regular yoga class and discover you are pregnant then you must let your teacher know immediately so they can modify the practice for you to keep you safe. 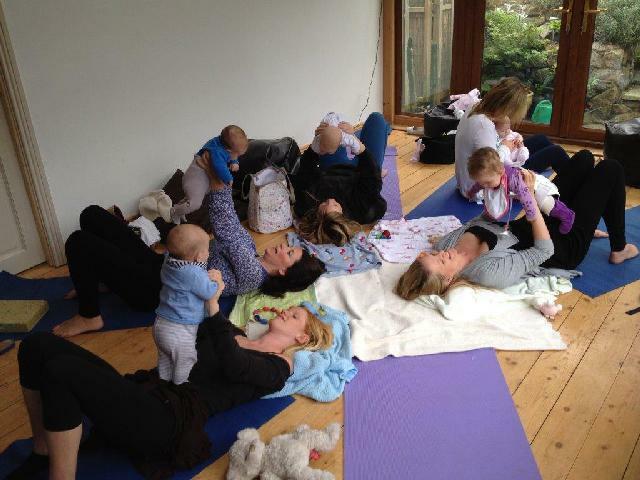 When you get on into the middle of your pregnancy you might like to join a specialist pregnancy yoga class. This frees your regular teacher from the stress of having to constantly modify the practice to guard your safety and also frees them to give more equal attention to other students in the class. 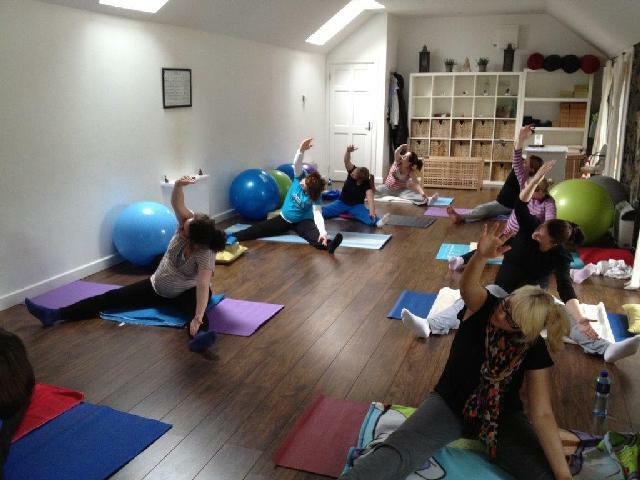 In a prenatal yoga class everything you do is yoga for pregnant women and the teacher has specialist training in this area. You will be doing yoga for pregnancy rather than general yoga. In a prenatal yoga class everything is geared towards helping you and your baby stay as healthy as possible and prepare for birth. For example, strengthening the leg muscles and the pelvic floor is important preparation for the later phases of pregnancy, it helps prevent those dreaded leg cramps during pregnancy as blood pressure starts to drop to make it easier for your heart to pump the extra volume of blood around the body. Apart from targeting the areas you need to work on specifically when you are pregnant. 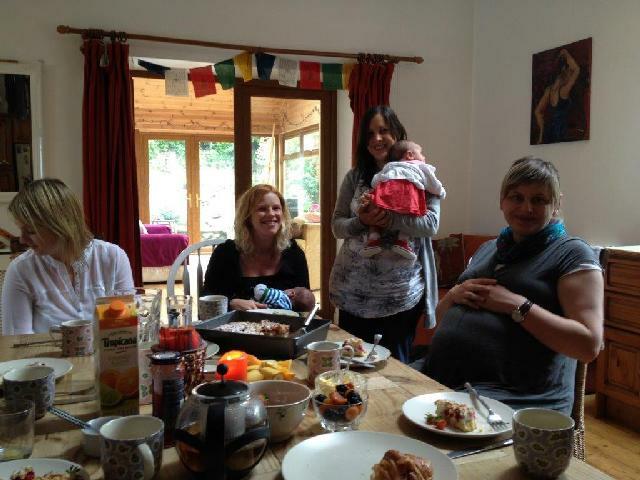 One big advantage of joining a pregnancy yoga class is to meet other pregnant women. With all the changes going on for you, you can feel a bit isolated in a regular yoga class, being the odd one and with nobody really understanding what you are going through. Being in a class with other pregnant women gives you great support and understanding from the other students and also from the teacher. You make some new friends too which is really important for after you have had your baby as you will find that your regular friends, unless they are all having babies themselves, will not be that entertained witht the topics of conversation foremost in your mind and you can feel isolated and alone.